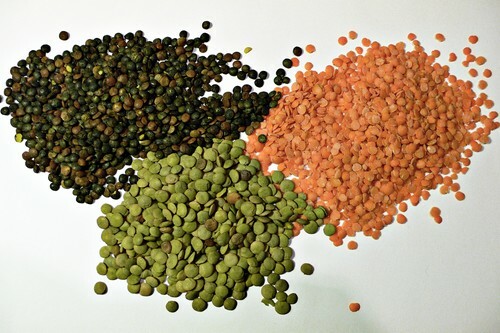 Lentils are a great way to get zinc, biotin and iron-rich protein in your diet. Protein is an important key to healthy hair, as it helps strengthen the actual strands and aids in the speed of growth. Protein also works to prevent dry scalp, making it an especially important part of your diet in the colder months. These little beans aren’t just for vegetarians! Meat-lovers could also benefit from the extra vitamin boost lentils provide. Unsure of how to add lentils to your normal nosh routine? Try adding them to a veggie soup. Oysters may be better known for their reputation as an aphrodisiac, but they can also lead to healthy hair. They are packed with zinc, which helps hair growth and keeps the oil glands at the scalp working correctly. Low levels of zinc can result in slow hair growth, dandruff and even hair loss. 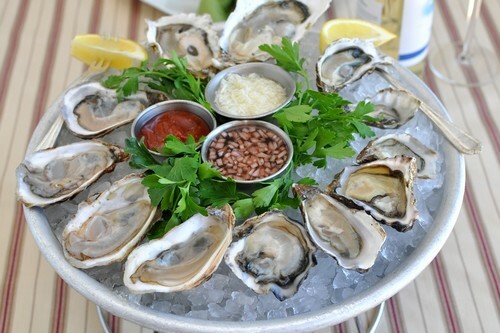 Everyone love Oysters,because of it’s hair-boosting abilities, that is zinc – a powerful antioxidant. If oysters don’t make a regular appearance on your dinner plate, don’t despair. In addition to getting it from whole grains and nuts, you can also get zinc from beef and lamb, or if you’re a vegetarian from pumpkin seeds and chickpeas. Let’s talk beta carotene here. 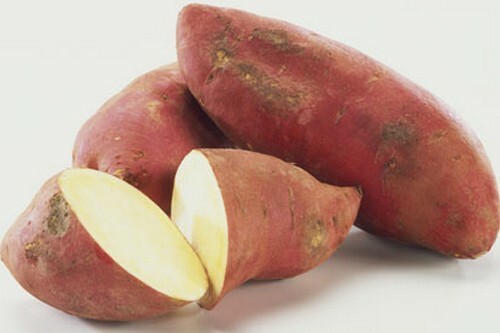 You can easily prevent hair loss problem by regularly consuming sweet potatoes as these are packed with beta carotene. 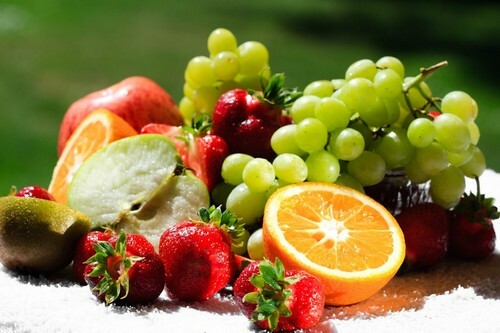 Your body converts this antioxidant vitamin to vitamin A. Vitamin A promotes the growth of healthy cells and tissues, including hair and the scalp. Vitamin A deficiency often results in dull, dry skin… which then flakes off of your scalp as dandruff. At the same time sweet potatoes also contain plenty of vitamin C, copper, iron and protein. You can eat boiled or baked sweet potatoes depending upon how you like it. Carrots promote a healthy scalp along with good vision as they are an excellent source of vitamin A. Since a healthy scalp is an essential thing for healthy hair, it is advisable to include carrots in your food and salad. Carrots are very useful to revitalize dull and tired looking skin and hair and will leave your skin and hair looking youthful and fresh. 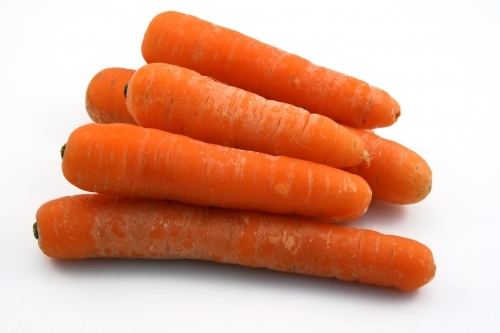 Carrots are good for eye sight and can also be used to control hair loss. You can also have it in juice form. A glass of carrot juice in the morning is a great way to start the day. You can also eat carrot as a fruit, or opt for steamed carrots or a make a healthy carrot soup. 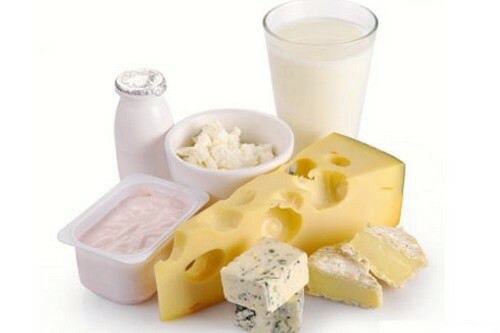 Low-fat dairy products like cheese, yogurt and 2 percent or skim milk contain casein and whey, both high in protein, which prevents dry scalp.They are great sources of calcium, an important mineral for hair growth. Bold fruit equals better hair! Mango, strawberries, kiwi, pineapple and peaches are all rich with vitamin C, an essential for making collagen that gives structure to hair. Plus, they taste amazing. There’s another excuse to order that smoothie! Great, Just what you need. Another reason you need to eat those dang veggies. If you aren’t going to eat veggies for your health, at least do it for your hair. Green things like Spinach,kale, broccoli and Swiss chard are excellent sources of vitamin A and C, which help to produce sebum in the scalp. Sebum is the oily substance secreted by our follicles of hair which works like natural hair conditioner. 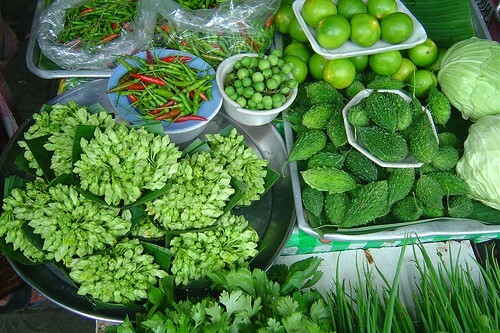 These vegetables also provide iron and calcium to your body. Eggs, perhaps the most versatile food on the list of healthy hair foods. When it comes to healthy hair, it doesn’t matter whether you like eat scrambled egg, fried egg or simply boiled egg. There are countless ways you can work eggs into your healthy-hair diet. Undoubtedly eggs are the best source of protein. The protein present in egg is considered high quality protein and is excellent for hair growth and hair strength. 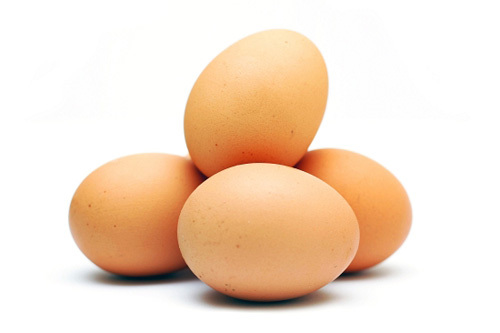 Eggs are also rich in biotin, which is a B vitamin essential for scalp health and hair growth. Eggs are also high in iron, which carries oxygen to the hair follicles. Have an egg with breakfast a few times a week, and you’ll be on your way to fuller, stronger hair in no time. Do you go nuts for thick, shiny hair? You should take a regular intake of nuts. There are different types of nuts such as almonds,pecans, peanuts, walnuts and cashew nuts that you can include in your diet. These all contain zinc, which minimizes hair shedding. Brazil nuts are one of nature’s best sources of selenium, which some studies show is an important mineral for the health of your scalp. Apart from that, walnuts contain alpha-linolenic acid, a type of omega-3 fatty acid that may help to condition your hair. 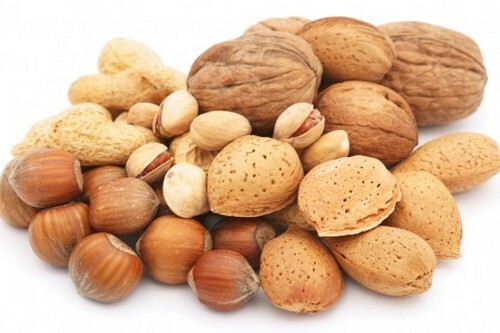 Vitamin E found in nuts is one of the most important vitamins which helps the overall health and appearance of hair. Vitamin E deficiency may lead to brittle hair which easily breaks off or falls out. There is no need to eat huge amount of nuts to enjoy proper hair growth. You can simply eat a handful of soaked nuts or add some in your salad, pasta, or dessert. You can also use nuts as a snack, that leads to fab hair. 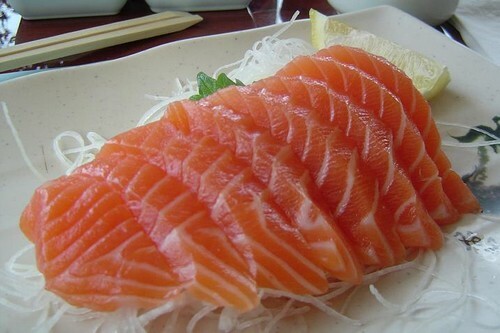 Salmon is a kind of fatty fish that is good for your brain, blood vessels, skin and hair. There is definitely a reason we listed salmon at the top of the list of healthy hair foods. When it comes to foods that pack a beauty punch, it’s hard to beat salmon. This delicious fish is a miracle food for your hair. It is full of protein, omega-3 fatty acids, iron and vitamin B-12. All these nutrients are essential to enjoy proper hair growth, shine and to solve problems like dry scalp, excessive hair loss and so on. Salmon is the complete beauty food. In case you are a vegetarian, there is no need to worry! Add two tablespoons of ground flaxseed in your daily diet and you will be benefited in the same manner.